Exclusively Sold by FLYBYE Bird Control Products. If it is not from FLYBYE you are buying a knockoff. 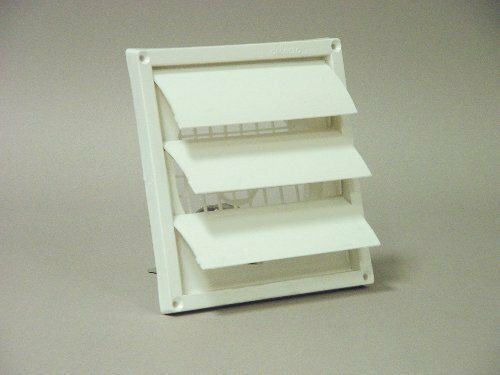 FLYBYE Vent Cover, Heavy Duty Plastic; Bird Proof Louvered Vent Cover;Keep Birds Out Without Restricting Air Flow;Sized For Universal Dryer Vents Or Stove Vents. Pipe Opening is 6 inch. Outside Dimension is 7-7/8'' with a depth of 5/8'' inches. 1/2" Square Openings Melting Point is 325 F+ Calcium Filled Polypropylene. Please read our return policy, some returns are not accepted!